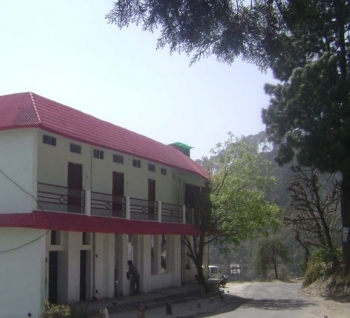 Vinayak Resort is a budget hotel located in the outskirts of Lansdowne. 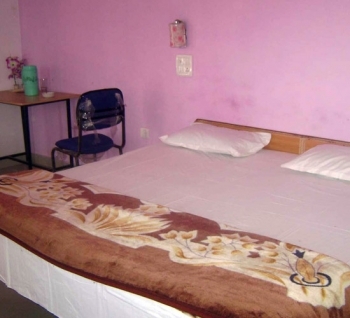 Hotel Vinayak offers descent and comfortable accommodation to the tourists and travelers to Lansdowne. Hotel Vinayak Resort is located near Petrol Pump and close to the barrier check while entering Lansdowne. There are 6 rooms in Hotel Vinayak Resorts, which offers basic amenites and facilities to make your stay comfortable in Lansdowne. * Check out time : 12 noon.check out after 12 pm to 6 pm is chargeable by half day. * Special discounts for group & regular clients available on request. - Bookings confirmed during diwali, new year and christmas period will neither be canceled nor modified. No payment will be refundable during this period. - If a booking is canceled before 45 days of arrival, there will be 15% cancellation charge. - If a booking is canceled before 16 days and within 44 days of arrival, there will be 1 night retention charges. - If a booking is caneclled within 15 days of arrival there will be 100% cancellation charges. - Any policies dictated by the hotel will be supercede those stated here. In such case our customer service agents will ofcourse inform you clearly and completely. Otherwise it will follow the cancellation policy. - Cancellation has to be made through corresponding email ID and FAX ONLY. otherwise no cancellation will be ntertained. Cancellations will not be accepted over phone. By Air: Jolly Grant Airport is the nearest Airport to Lansdowne situated at a distance of 148 kms. Jolly Grant Airport is well connected to Delhi with daily flights. Lansdowne is well connected by motorable roads with Jolly Grant Airport. Taxis are available from Jolly Grant Airport to Lansdowne. By Rail: The nearest railhead to Lansdowne is Kotdwar situated at a distance 40kms. Kotdwar is well connected by railway networks with major cities of India. There are regular trains running to Lansdowne from major destinations of north India. Taxis and buses are easily available from Kotdwar to Lansdowne. By Road: Lansdowne is well connected by motorable roads with major destinations of Uttarakhand state. Buses to Kotdwar and Dugadda are easily available from ISBT Kashmiri Gate. Buses and Taxis to Lansdowne are available from Kotdwar, Dugadda, Pauri and other major destinations of Uttarakhand state. Lansdowne is connected with National highway 119. Stage 2: Take the Right turn from here for Bijnor-kiratpur 16 kms, Najibabad 17 kms, Kotdwara 25 kms, Dogadda 15 Kms. Stage 3: 2 kms from Doggada there is a T Junction. Take the RIGHT Turn on the Lansdowne road (the left turn goes to Pauri). Stage 4: VINAYAK RESORT 4 Kms Before Lansdowne ( Deriyakhal) Near Petrol Pump.